Bangkok (NNT/VNA) – It is the first time for Thailand to host an ASEAN Gastronomic Tourism fair and create networks to promote food-drawn tourism with quality food markets and gastronomic art. 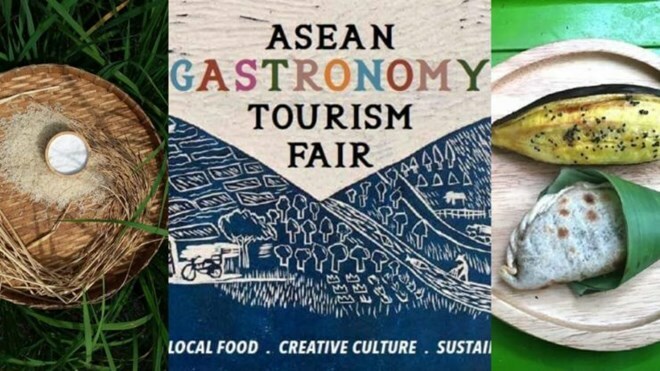 The Ministry of Tourism and Sports is organizing ASEAN Gastronomic Tourism fair to develop and promote gastronomic art with the use of non-toxic food ingredients, hand-woven cloth and pottery and decorative items at local and regional levels. Tourism and Sports Minister Weerasak Kowsurat said the number of gastronomic tourists to Thailand rose by 26 percent last year, thus underlining the fact that this country has been outstanding for its Thai and foreign foods which have good tastes, diversity and quality. The campaign is not for tourists to eat up so much food at famous restaurants but for them to find out the sources of the food, the culture of eating, the local wisdom for creative hand-made products and art related to food.